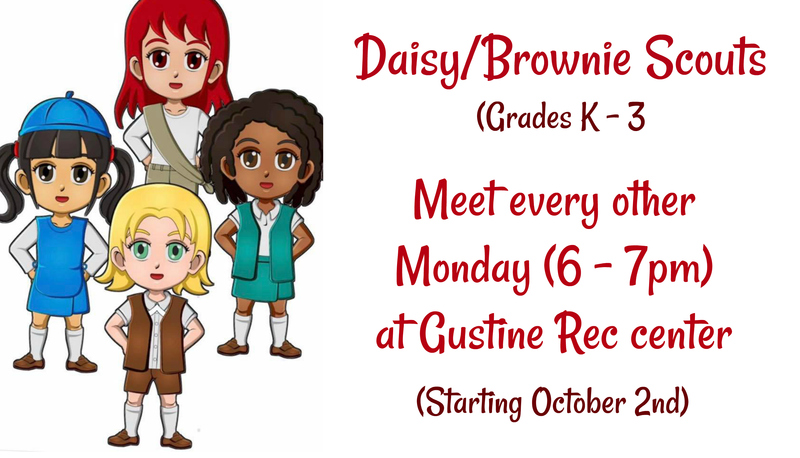 Daisy/Brownie troop 00921 beginning this fall at Gustine Rec Center. This troop will be open to girls in grades K – 3rd. Their first troop meeting will begin on Monday, October 2nd, from 6-7PM. The troop will meet every other week.